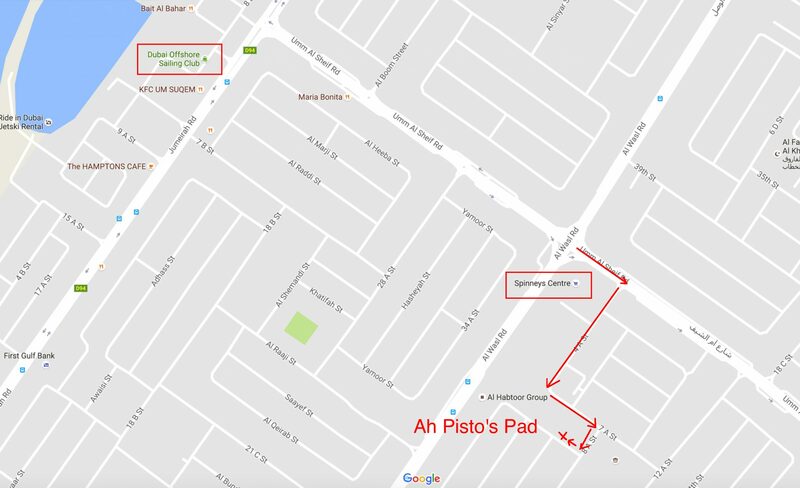 Location: Pisto’s Pad – Villa 2, 13b Street 9, Al Safa 2. Directions: From Al Wasl Road, heading towards Dubai, turn right onto Umm Al Sheif Street straight after Umm Suqueim Spinney’s. 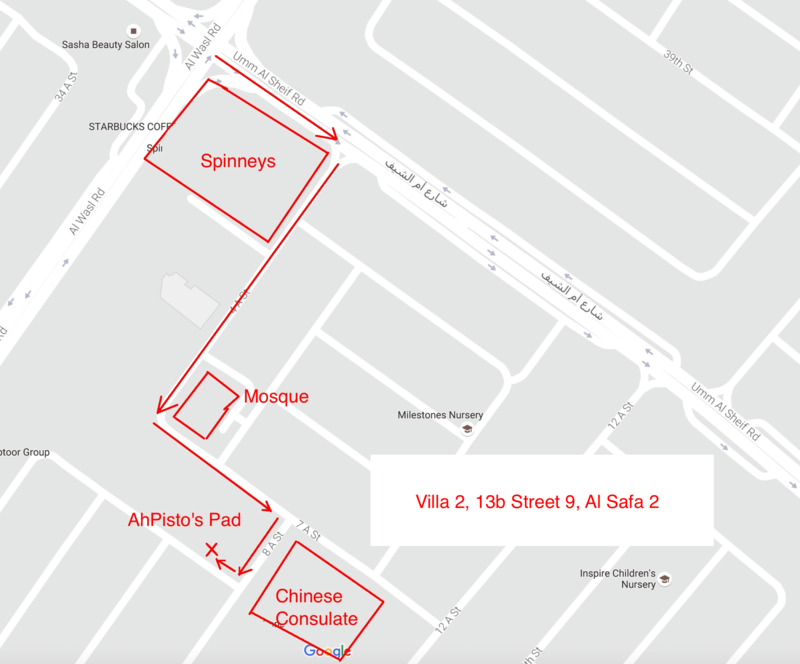 If heading towards Abu Dhabi, turn left onto Umm Al Sheif Street just before Spinney’s. Go straight for 100m then turn right immediately after Spinney’s and follow the road around, past the garden shop and mosque which are on your left. Take the first right onto street 8A and then first right again onto street 9. The villa is the first one on the right just around the corner. Creek Hash House Harriers (CH3) © 2019. Administered by Vomit and AhPisto.